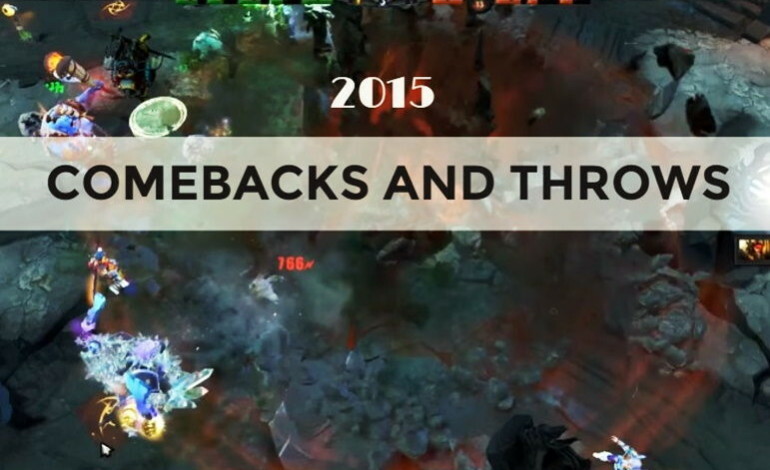 Dota 2 has been witness to some of the most remarkable wins and losses in 2015 – partly due to the “comeback mechanism” in patch 6.83 and partly due to the shift in team composition and new talent added to the professional player pool. Whatever the actual reason, the Dota has been thrilling, exciting and unpredictable. The heart races rapidly, the palms get sweaty, the stomach tied in knots. You hear the casters screaming “It’s a disaster” and “What is going on here”. Your favorite team is making a historical comeback… or is it a throw? This year has been flooded with incredible games. New talent has surfaced, new teams have been formed, the meta has changed a few times, tournament matches are on the rise. We have compiled some of the most remarkable comebacks and wins, throws and losses of 2015. The second game of the series between Alliance and Ninjas in Pyjamas was indeed remarkable, with a back and forth 30-minute base race that culminated into a holding of the barracks at the last moments, with 10% remaining on the throne and a team wipe that opened the door for a comeback from mega creeps for Alliance. Alliance took the series, 2:0. The first game of the series between Leviathan and Boreal gave way to an all-time record comeback, as Team Leviathan managed to bounce back from a 30K deficit and take the lead by close to 20K. After denying the Aegis and holding on to their barracks, they stole a Divine Rapier from Boreal, which led to their recovery. Leviathan claimed the second win as well, in a lot less exciting game. A StarLadder StarSeries Season 12 group stage game between Cloud 9 and Scaryfacezzz was not only the longest Dota 2 game in history, but also a case of scrubbing out numerous other records and writing in new ones. The game went on for 200 minutes and 34 seconds (over 3 hours), shattering the previous record held at 125 minutes and 26 seconds by a FragByte Masters game between Team Dog and 4 Friends + Chrillee. SFZ finally managed to win the longest Dota 2 game in history. During the series between Team Secret and Invictus Gaming, Secret were unable to break base and IG seized the momentum, as the lanes seemed to be headed the wrong way for Secret. The Chinese tried not to make any mistakes for Secret to capitalize on. At minute 52, Secret lost their melee racks and IG had managed a 30K gold swing. None of Secret’s heroes was a match for Xu “BurNIng” Zhilei’s Anti Mage. With buybacks on all their heroes and none whatsoever for Secret, IG went for highground and took the victory at minute 57. During the best-of-five grand finals between ROOT Gaming and Summer’s Rift, both teams proved their skill and passion for the game. The last game of the series was surprisingly 110 minutes long, featuring a 12-slot Naga Siren on Yawar “Yawar” Hassan. 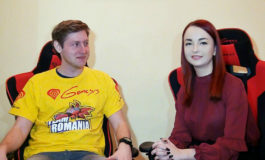 The second game of the best-of-three series between Natus Vincere and HellRaisers was bursting with excitement and energy. At about 33 minutes into the game, Na’Vi – who had been falling behind, started to chip away at HellRaisers’ lead. While still behind, the newly reformed Na’Vi started to close he gap, by buying new items and extending the game out. At minute 60, HellRaisers achieved mega creeps, but Na’Vi still didn’t concede the game. Keeping their cool and playing their hearts out, Na’Vi managed to turn everything around and, 8 minutes later, they seized he victory. Na’Vi ended up taking the entire series, 2:0. For the first time in Na’Vi’s history, the team managed to make a comeback against mega creeps. It was the 24th time in pro game history since patch 6.8 and the 4th time in patch 6.85 that any team was able to stage a comeback against the mega creeps. Dmitry “Ditya Ra” Minenkov earned a tremendous amount of attention for his performance on Phantom Lancer.